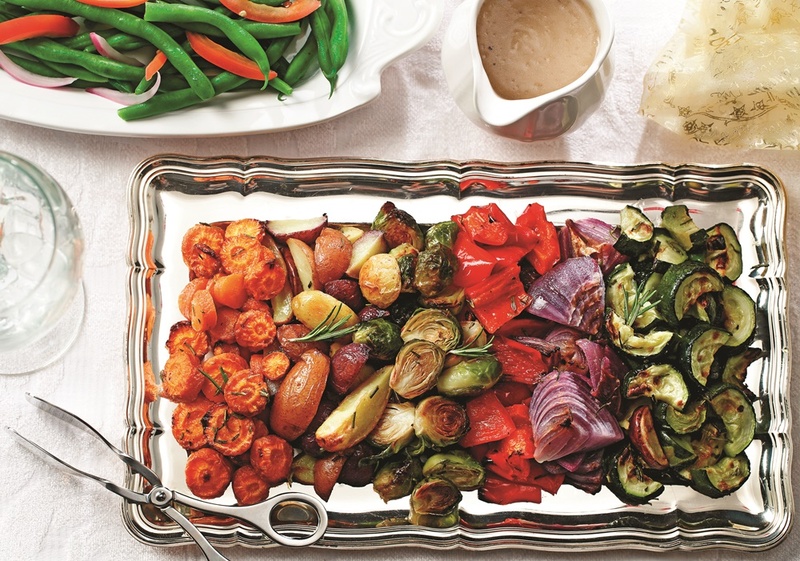 Place the potatoes, sprouts, bell pepper, onion, zucchini, and carrots in a large roasting dish or rimmed baking sheet. Drizzle on the oil,and sprinkle on the rosemary, salt, and garlic powder. Stir to thoroughly coat all of the vegetables. Bake for 40 minutes or until the vegetables are lightly browned and tender.